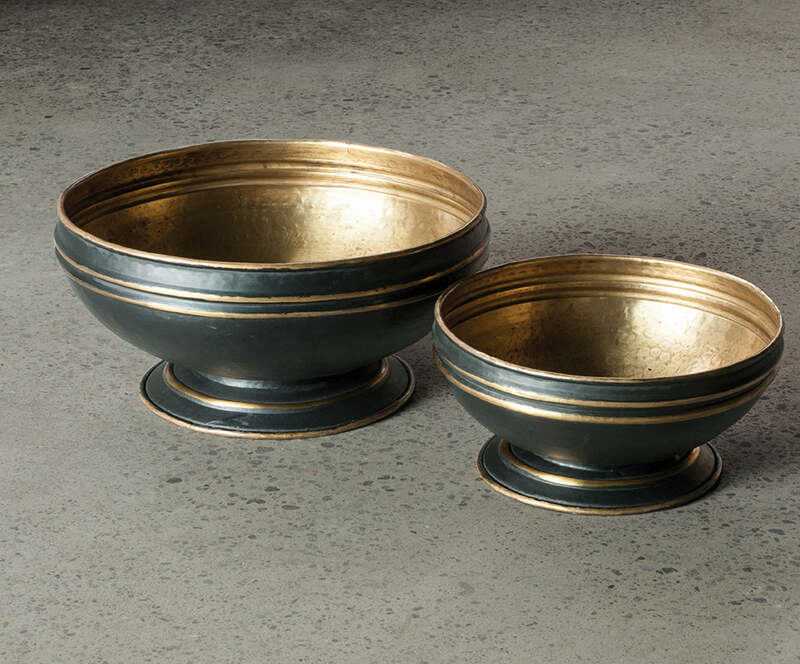 This alluring brass planter is perfect for showcasing your favourite plants or as a statement accessory for your space. Finished in antique black with a brass strip. Available as a set of two in the sizes 40 x 22cm and 30 x 16cm.